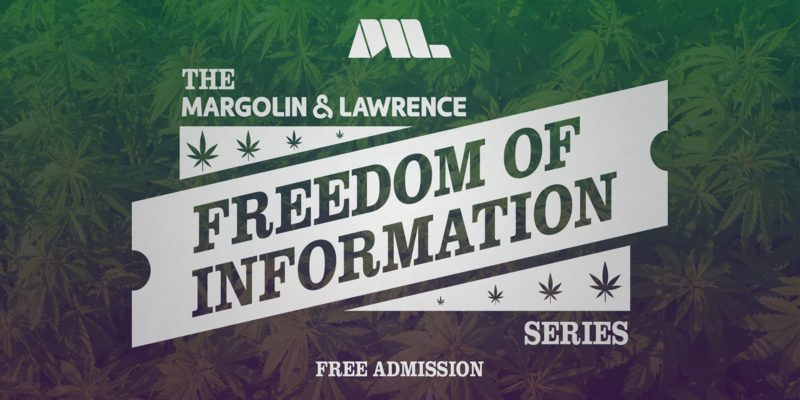 Thanks to everyone who came to our first Freedom of Information session about Los Angeles Cannabis Licensing! This weekend was the second annual The Edibles List Infused Expo in DTLA. As LA Cannabis lawyers, our firm is tracking the City's development of regulations and also California's. This weekend, the focus was on edibles. 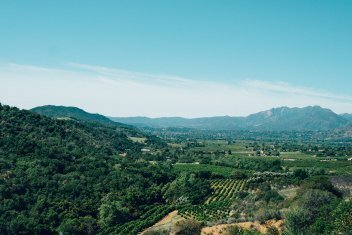 As California prepares to start issuing cannabis cultivation licenses on January 1, 2018, the state is becoming more transparent regarding the exact requirements for legal cultivation under the new regulatory regime. Our cannabis lawyers are often asked how you can prepare for licensing - here is your answer. The California Department of Food & Agriculture’s just released a full checklist of requirements for the Cal. 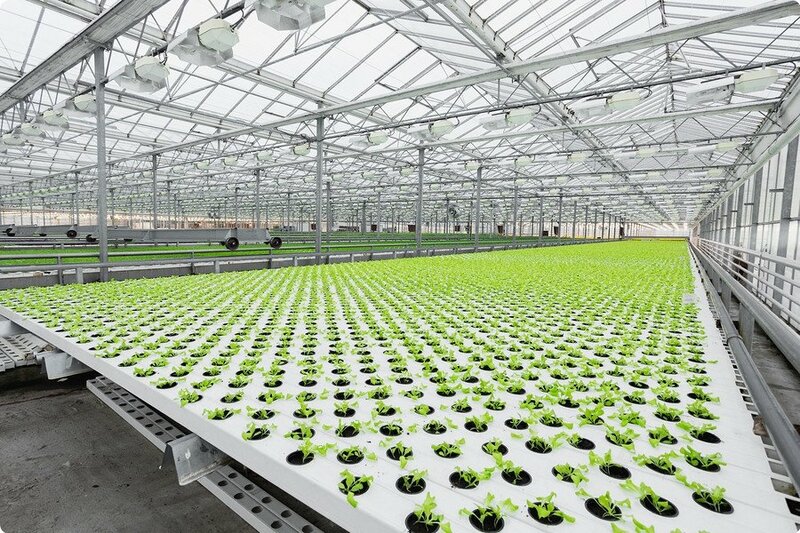 Cannabis cultivation application, now available in .pdf form on their website. 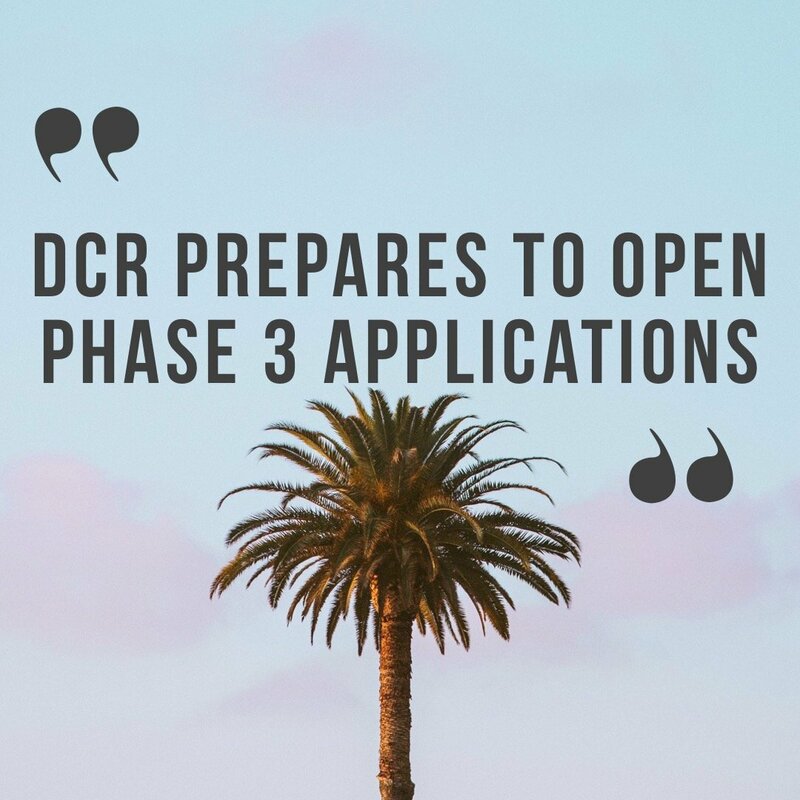 These requirements represent an important shift in the state’s attitude when it comes to cannabis cultivation – in particular, the checklist shows that California plans for far more robust cooperation between state and local regulatory authorities than has existed in the past. As Merry Jane writes in an article about the checklist, “Unlike the current cat and mouse games canna-businesses play with local municipalities under the wild west rules of Prop 215, California’s new system will see increased coordination between state and local governing bodies by requiring licenses for cannabis operations at both levels.” Our Los Angeles cannabis attorneys have witnessed both the wild west and the implementation of the new system as cities and counties around California issue their own permits and licenses. The checklist also includes a list of local permits that may be required, including those issued by the municipality’s Building Department, Public Works Department, and Sheriff’s Office. The takeaway is clear; while Jan 1, 2018, may seem very soon to aspiring cannabusiness owners, getting a legal license to cultivate cannabis won’t be possible without a lot of paperwork. Maybe you’ve heard about a bill going around the California Senate right now that would create a state trademark registration system for cannabis. That’s right, Assembly Bill No. 64 for “Cannabis: Licensure and Regulation” was introduced on December 12, 2016 by Assembly Members Rob Bonta (Dist. 18 - Oakland), Ken Cooley (Dist. 8- Sacramento), Reggie Jones-Sawyer (Dist. 59 - LA), Tom Lackey (Dist. 36 – LA/Kern) and Jim Wood (Dist. 2 – Humboldt-Mendocino). On June 1, 2016, the bill passed through the Assembly with 71 Aye votes and just one Nay (Travis Allen, Dist. 72-Orange Co.). 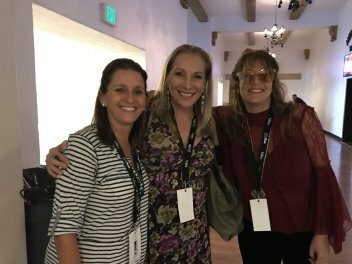 Does my California Cannabis Business have to be a nonprofit? The short answer is yes, for now. 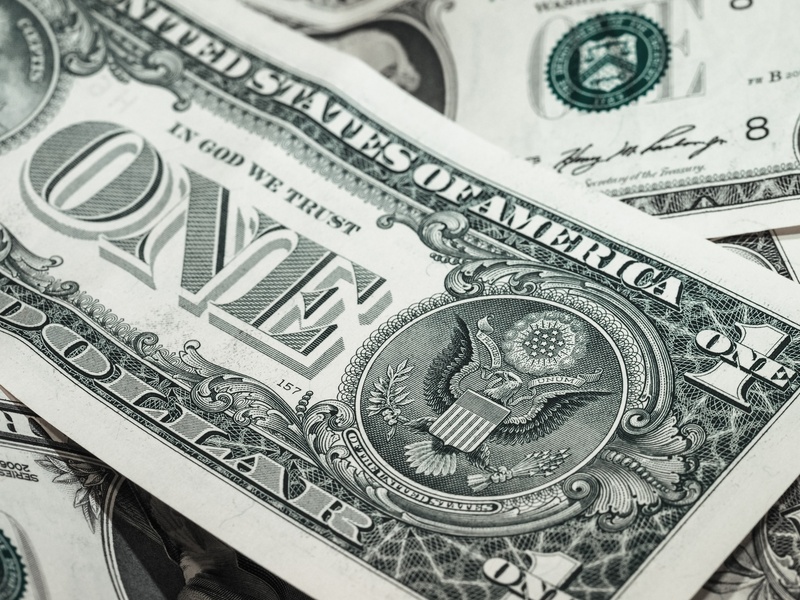 Until the law changes, you need to operate as a nonprofit. You should also prepare yourself for for-profit operation so that your business is not caught off guard when the law does change. There is a great deal of misinformation and misunderstanding about how cannabis businesses are allowed to be organized in California. California Health & Safety Code § 11362.765 is the law of the land, stating in part: “nor shall anything in this section authorize any individual or group to cultivate or distribute cannabis for profit.” Note that this section was not repealed or replaced by any provisions in SB 94 (our Guide to SB94 is available here). Appellate decisions have interpreted this language to mean that all cannabis cultivation and distribution in the state is required to be conducted on a non-profit basis, and that anyone cultivating or distributing cannabis “for profit" is subject to criminal sanctions (currently a misdemeanor in most cases, with potential jail time and fines). 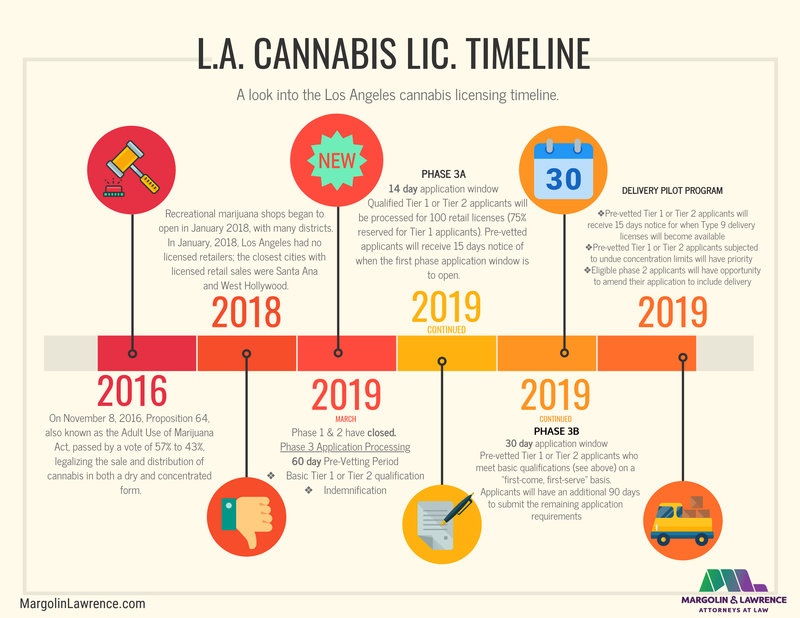 Ask an LA Cannabis Attorney: How Can I Prepare for Cannabis Licensing? 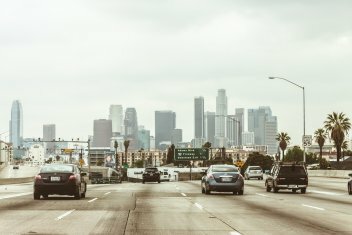 While there has been much debate over LA’s recent Draft Regulations, not much has been stated clearly about how to prepare for the LA license application process. You can read more about the draft regulations here, here, and here. Below is some guidance from our Los Angeles Cannabis Attorneys. As you know from our previous posts on SB 94, you will need City or County authorization in order to apply for a State License. The areas you can start preparing for fall into a few main categories: real estate, taxes, corporate documents and financial planning. Ask a Cannabis Lawyer: Can I Trademark My Brand? Now that California is set to give licenses to cannabis operators, you may be wondering -- can cannabis companies get trademarks yet? The answer is more complicated than you may expect. Your instincts are right; it’s time to start planning for the future. And to do that, you need to develop a brand that you can protect and your consumers can depend upon. Yet the U.S. Patent and Trademark Office has expressly, and repeatedly, affirmed that that it will deny registration of any “marijuana” or “cannabis” related goods or services. You can read that decision here. The basis for this policy is the Controlled Substances Act; so long as the sale of marijuana is classified as federally illegal, the USPTO considers the use of such marks in commerce as “not lawful” and thus not entitled to protection. Proposition 64 and California’s medical marijuana laws, as changes in state law, do not affect the Board’s policy regarding federal registration. That means that properly licensed cannabis companies that sell cannabis-related goods and services in 100% compliance with California law are still not engaging in a “lawful” use in commerce according to the USPTO. Cannabis companies seeking protection from California run into the same problem as Sacramento has decided to follow the USPTO’s policy. 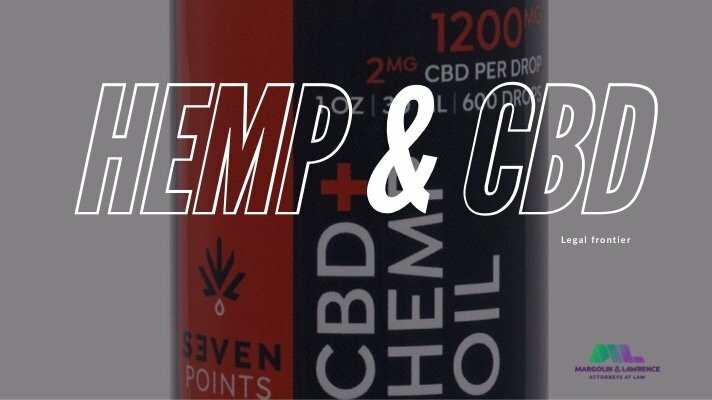 However, there are still ways for a cannabusiness owner to protect their intellectual property assets. One emerging strategy is to trademark a number of other goods and services that use your mark, but do not use or primarily facilitate use of the federally banned substance itself. These types of goods can range from t-shirts to oils – anything that does not constitute “drug paraphernalia” that “is primarily intended or designed for use in manufacturing, compounding, converting, concealing, producing, processing, preparing, injecting, ingesting, inhaling, or otherwise introducing into the human body a controlled substance, possession of which is unlawful under the CSA.” Registering trademarks for these ancillary goods and services puts the owner in a better strategic position for the future; when federal restrictions finally lift, the owner will have a strong claim to the mark as residing in their “natural zone of expansion.” This tactic puts the trademark owner on the offensive, putting any would-be pirates and infringers on notice. (500): for goods that are cannabis or cannabis products, including medicinal cannabis or medicinal cannabis products. (501): for services related to cannabis or cannabis products, including medicinal cannabis or medicinal cannabis products. 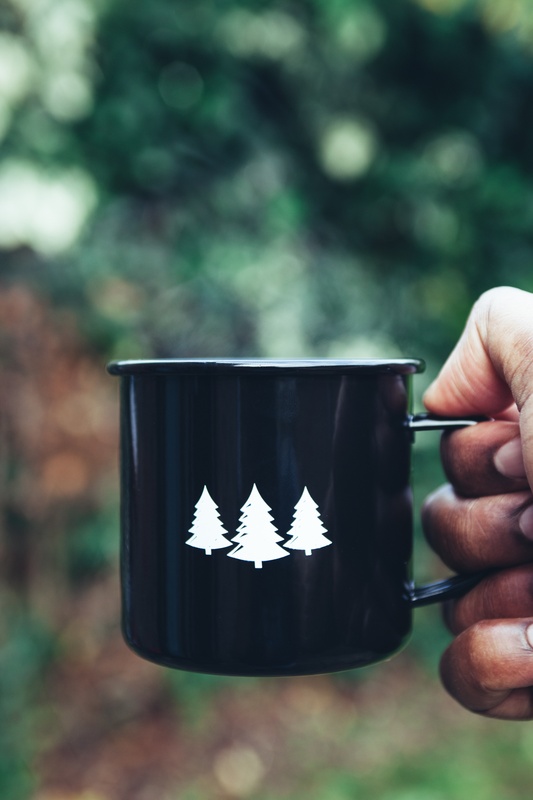 We are doing a series of posts on cannabis trademarks and cannabis IP. Check back for more next week. to discuss your trademark strategy. Under New City Regulations, Will LA’s Marijuana Businesses Be Able To Stay Open? 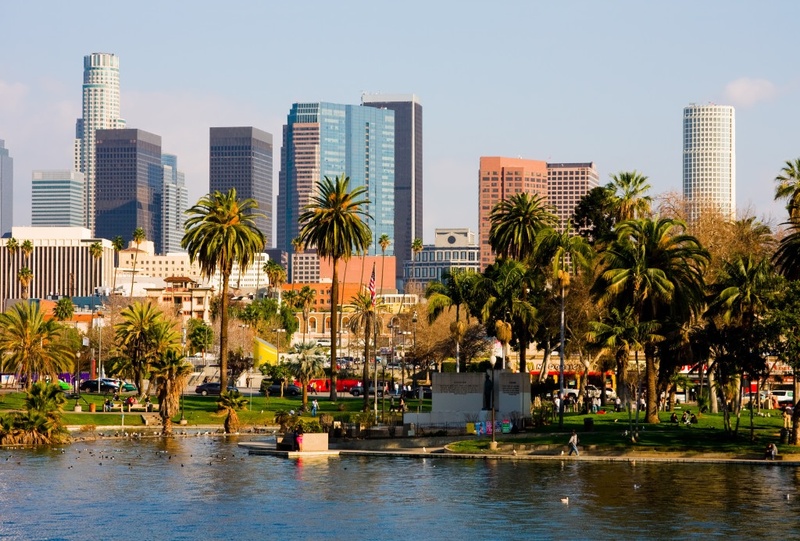 This past Monday, the Los Angeles City Council held an open meeting of its Rules, Elections, and Intergovernmental Relations Committee on the subject of the city’s cannabis regulations. 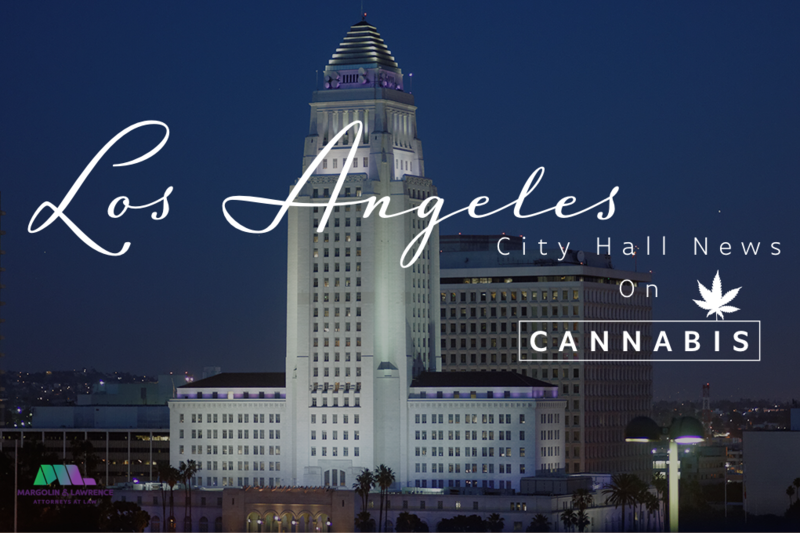 Our LA cannabis lawyers were present to comment on the new draft and urge the City to take a reasonable, fair, and business-oriented approach to regulation. 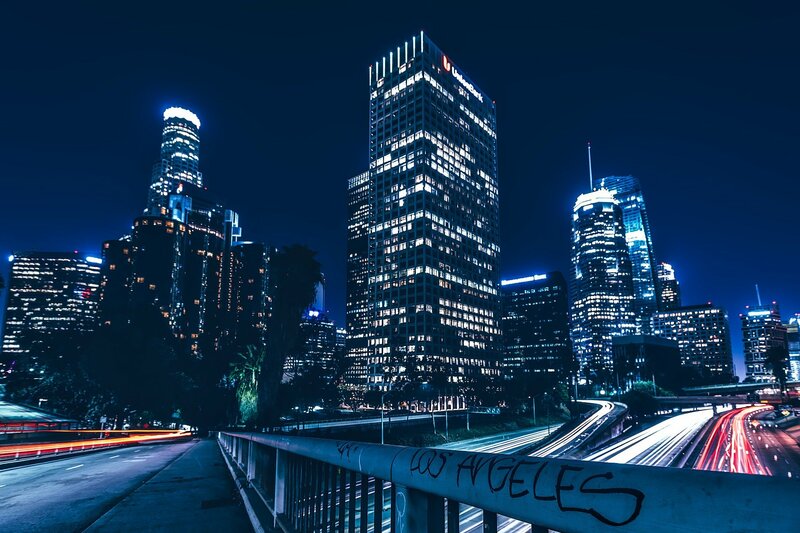 To the disappointment of many of Los Angeles' cannabis stakeholders, the city has not yet drafted its final cannabis ordinance, and has yet to even set a date for the completion of said ordinance. Though under Measure M this was supposed to pass by September 30, that deadline is about to come and go. 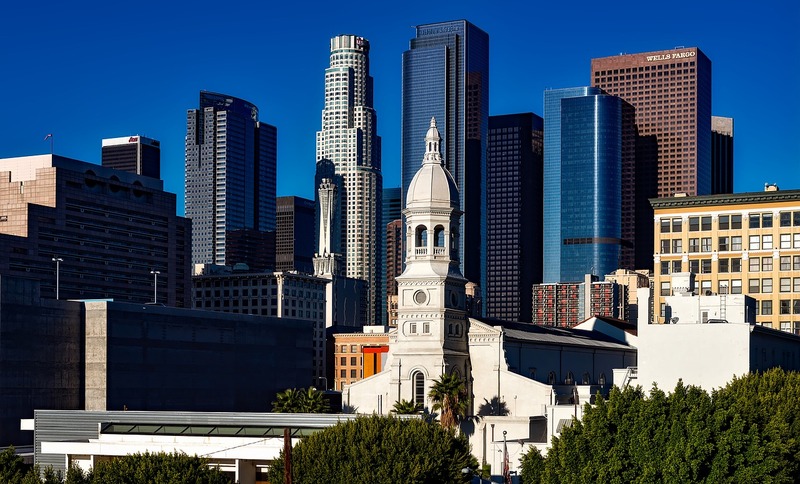 As the LA Times reported, the current situation and the new draft regulations leave the city’s existing marijuana businesses (particularly existing cultivators and manufacturers) in a precarious situation. Without a clear path toward legally sanctioned operations under the new cannabis ordinance, their businesses could be forced to shut down to avoid violating the law. Beyond the obvious financial hardship, inconvenience, and legal risk, this unclear state of affairs for marijuana activity presents a business hazard: With real estate prices in Los Angeles at record levels, a property that’s zoned for cannabis activity, but not allowed to operate, can quickly become a white elephant with overhead expenses large enough to drive its owner out of business. Council members responded to the concerns of those in attendance, saying that, although they had not made an official recommendation to the city on how to proceed, they hoped to find a solution that satisfied the existing industry’s needs. Politically, the situation is a difficult one: While it makes sense to give marijuana operators priority in licensing commensurate with their compliance with previous laws, detractors argue that this could be interpreted as rewarding grey-market or outright illegal activity. Either way, some constituents are bound to be unhappy. Moreover, the situation is characterized by pervasive uncertainty: this regulation is still a draft, and there could be still more changes on the way before a final ordinance is passed. 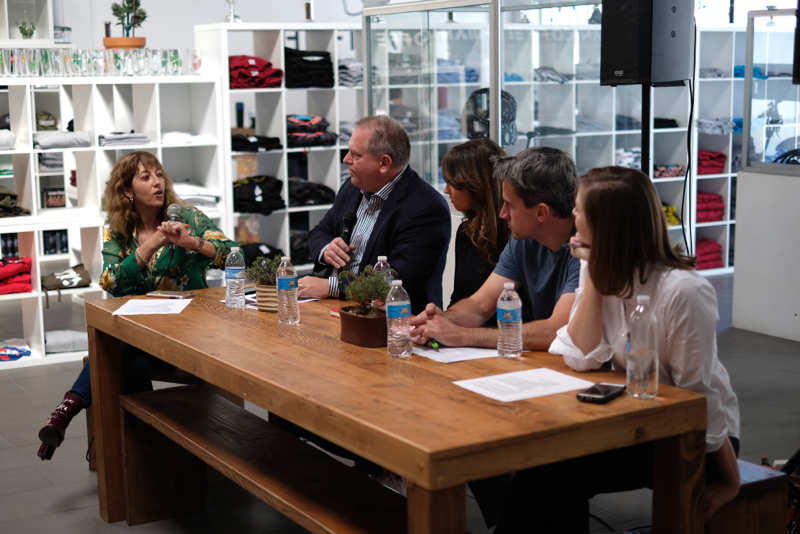 For Los Angeles to pave the way for a sustainable legal cannabis industry, the council members will have to respond to these concerns – and do so quickly, before the uncertainty of the current situation takes its toll on existing cannabis businesses.